Cliffhanger is pleased to announce that Atlas for Inspection is rolling out for six different utilities this month! With the inspection season starting again, our hosted application is the inspection application of choice. A utility or contractor can easily configure the application (forms, import data and export data), add users and upload inspection data through our Atlas portal. Seamless distribution, collection, and processing of inspection information is guaranteed without the need to upload the pole information to each device manually. All the inspector needs to do is log in to Atlas and focus on the job at hand! 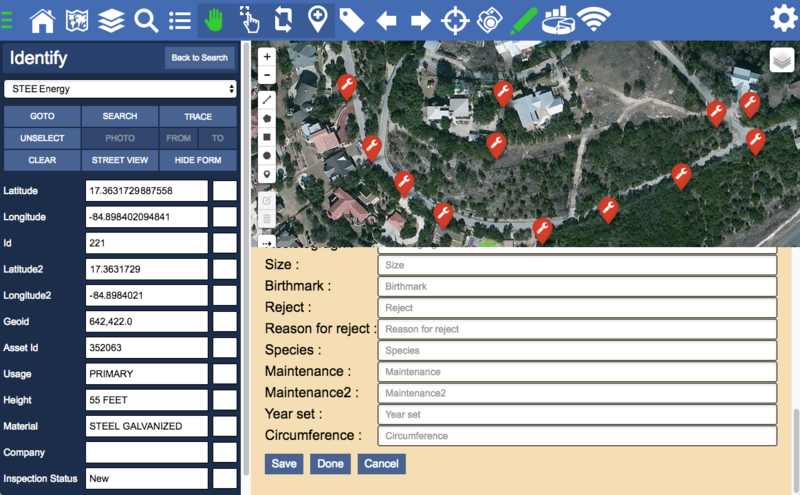 Functionality such as measurement, photos, geotagging, pull down values, etc, are all available and fully configurable. When inspections are complete using either the Atlas application or portal, the inspection results can be retrieved for processing by any back office system as the export format is fully configurable. The web portal shows real-time inspection progress through live dashboards and in the case of inspection contractors, the dashboards can display live updates of invoice items and crew efficiency, which can also act as an audit trail. Atlas is available as a SaaS model or as an enterprise license model. Pricing does not depend on the number of assets that need to be inspected, but rather an enterprise license or an attractive monthly subscription fee.